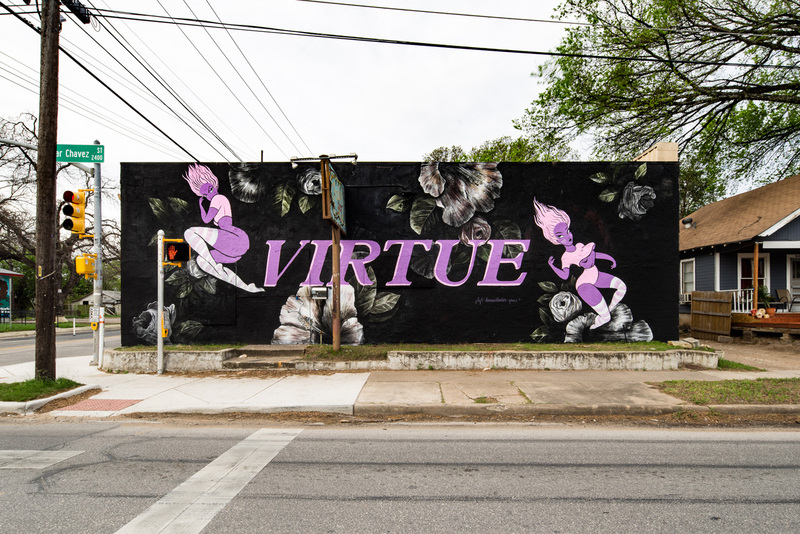 Mural by Fafi, Kamea Hadar and Jeffrey Gress in Austin, Texas for POW! WOW! SXSW 2016 and the Impossible Walls Project. A partnership with SpraTX and SXSW.